A “ONCE IN A LIFETIME” opportunity to own an AMAZING 2 bedroom, 2.5 bath,1721 SQ.FT., 2 car covered parking with STUNNING VIEWS. 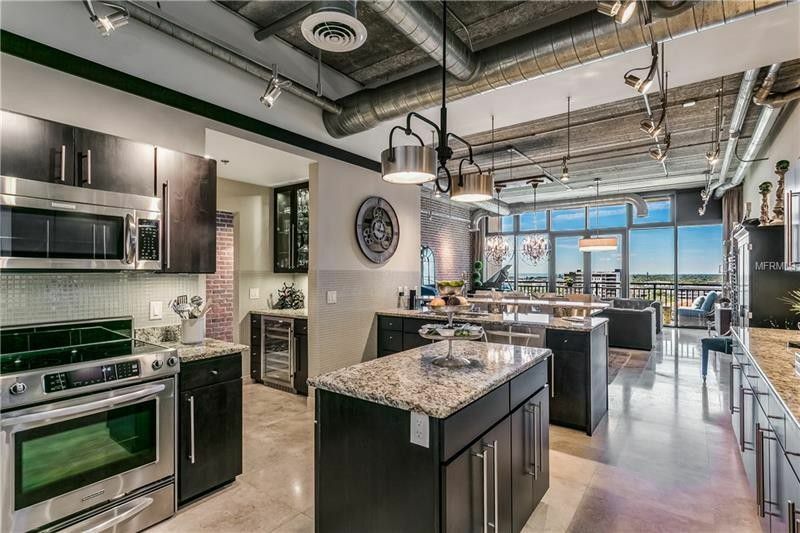 This is a rare find in the MCNULTY LOFTS located in downtown St. Pete with a condo that has an open floorplan with vaulted ceilings and FLOOR TO CEILING WINDOWS allowing for AMAZING WATER AND CITY VIEWS. This home consists of updated kitchen and bathrooms,dry bar, laundry room/ pantry/ stunning light fixtures and the best part is IT CAN COME FULLY FURNISHED. It also has stainless steal appliances, extra large Travertine flooring, solid wood cabinets, solid stone countertops and 2 a private outdoor patios! The McNulty Condos have an array of amenities such as a on-site concierge with a secure, fob access building and a workout facility. This is a unique opportunity to live in the heart of downtown St. Petersburg that is just steps away from Beach Drive which holds an array restaurants, outdoor cafes, art museums,shops and special events almost every weekend.